There were zombie movies in the 1980's. It wasn't always easy to get them at a video store, but a few were made. Nothing like the past decade or so where 1000's of zombie titles come out every year and all are immediately available on Netflix or You Tube. I'm saying this because I'm about to assert return of the Living Dead II was actually a pretty good zombie movie. It certainly was no return of the Living Dead, but the problem is almost all zombie movies pale in comparison to that classic. The second factor in why I have a fond memory of ROTLD II is that it was actually available at the video store. And if you subscribed to Showtime or HBO you could probably see it there, too. This was not the case with most of the zombie titles made then. If you wanted to see them you had to specially order them most of the time, and it was very expensive. 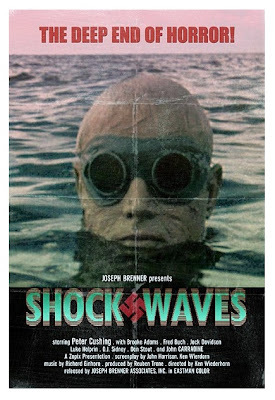 Long set up to tell you the writer/director of return of the Living Dead II also directed one of the better zombie movies of the 1970's, Shock Waves. This is the B movie poster for the 1977 Nazi zombie classic Shock Waves, directed by Ken Wiederhorn. It's rare for anyone on planet Earth to write and direct even one zombie movie, but when someone does it twice, as Wiederhorn has, I put that person in my Zombie Hall of Fame. In fact, I'm watching Shock Waves right now on a small laptop that's playing it in the kitchen. It just clicked with me this very evening that Wiederhorn wrote and directed both Shock Waves and Return of the Living Dead II. ROTLD was largely panned by critics and zombie fans, but I'd advise you to give it another try. It's a movie that has a lot going for it. 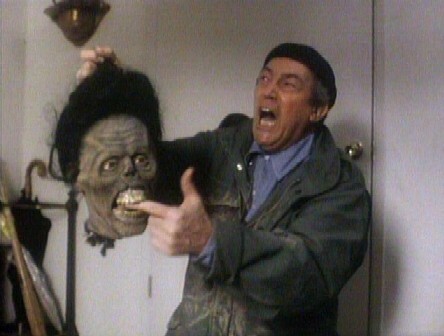 James Karen is probably glad he only put his finger in this zombie's mouth. Return of the Living Dead 2 has some legitimate scares and some good zombies in between some goofy self-references to the original, and some dumb zombie dance numbers.If you put it out of your mind that it shares a title with the other six or so movies in this "series," all of which have almost to do with each other, you can just watch it for what it is: a pretty good zombie movie. Then go watch Shock Waves and lament that Ken Wiederhorn has only made two zombie movies. Great minds think alike. 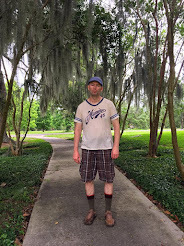 I also enjoy the two films Ken Widerhorn made about zombies.